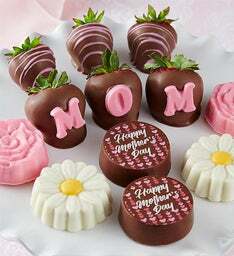 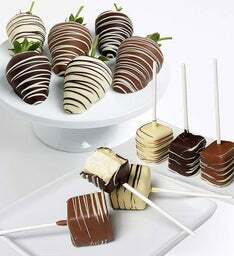 Get a taste for our delectable chocolate covered fruit gifts! 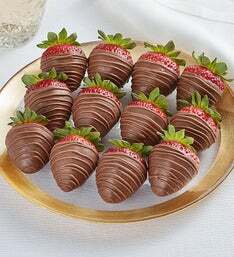 We start with the freshest fruits around, then we cover them in the finest chocolate for a unique and delicious treat, perfect for enjoying yourself or sharing with someone special. 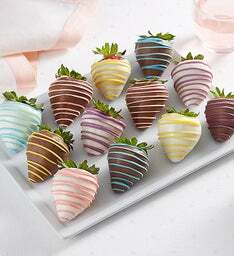 Our decadent dipped fruit makes the perfect gift that's not just delicious, it's Berrylicious®. 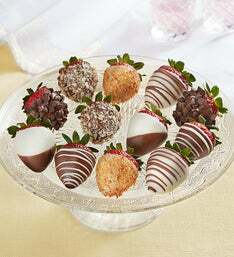 Whether you are in search of a decadent treat to send or serve, chocolate covered strawberries make for the sweetest gifts! 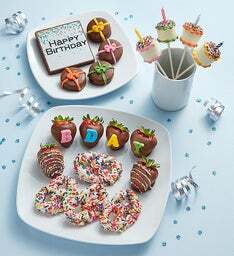 Part of what makes these scrumptious desserts such a classic choice is the fact that they can be enjoyed for every occasion. 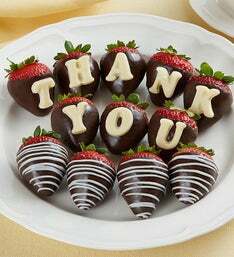 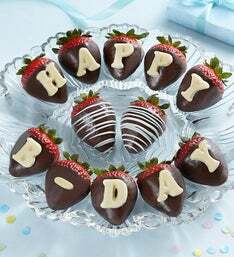 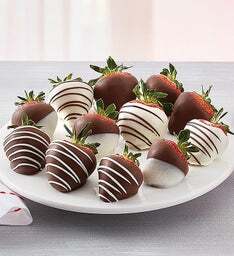 This year, make chocolate dipped strawberries your dessert of choice for birthday, anniversary, congratulations, celebrations and more! 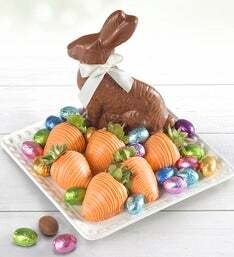 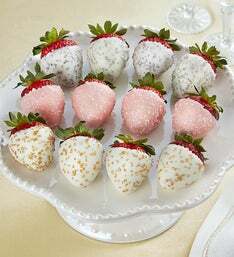 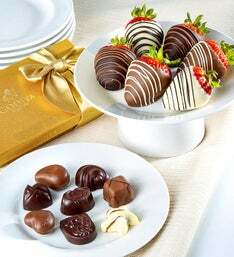 Choose from a variety of berry combinations to suit your recipient's taste, including milk chocolate covered strawberries, white chocolate strawberries and dark chocolate covered strawberries. 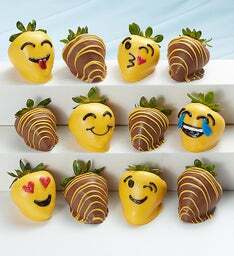 With so many options to choose from, sending chocolate dipped strawberries will make any occasion berry special – and delicious, too! 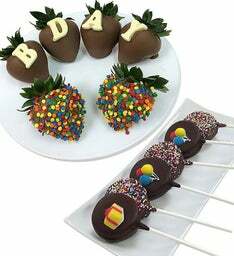 This year, trade birthday cake for chocolate strawberries! 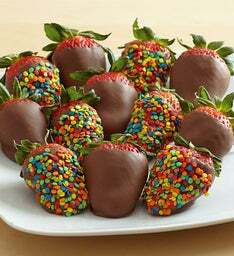 Surprise the birthday boy or girl with their favorite fruit covered in chocolate and tasty topping – choose chocolate dipped strawberries covered in nuts, colorful sprinkles or chocolate chips! 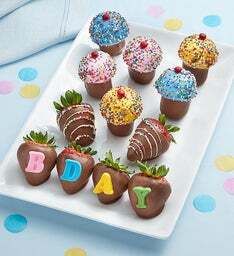 Send chocolate covered strawberries to make all of their birthday wishes come true. 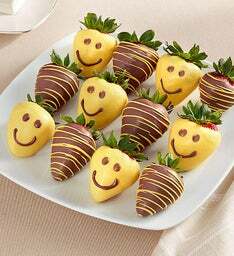 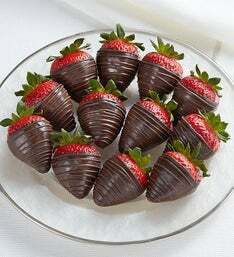 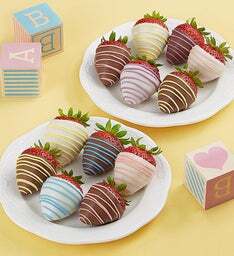 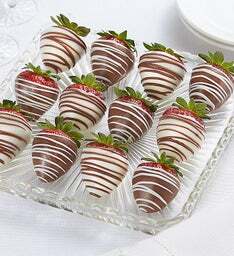 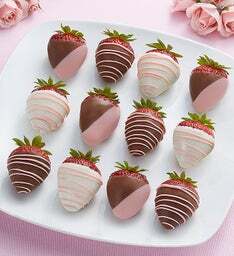 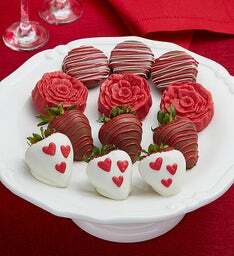 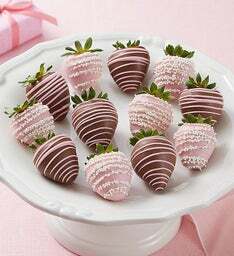 Nothing says 'I love you' better than chocolate strawberries – after all, they're made with love! 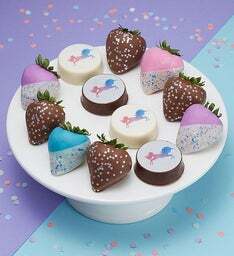 Even though chocolate covered strawberries are best known for Valentine's Day and anniversary gifts, celebrate love year-round with chocolate dipped strawberries decorated with red chocolate and heart-shaped sprinkles. 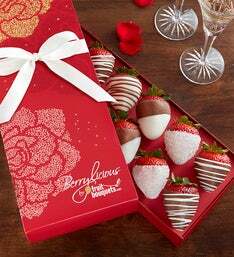 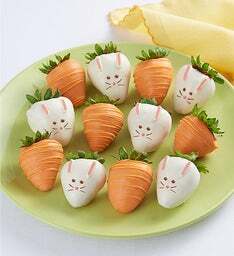 Because these treats are easy to share on a romantic date night, and can even be shipped using same day fruit delivery, sending chocolate strawberries is sure to impress!